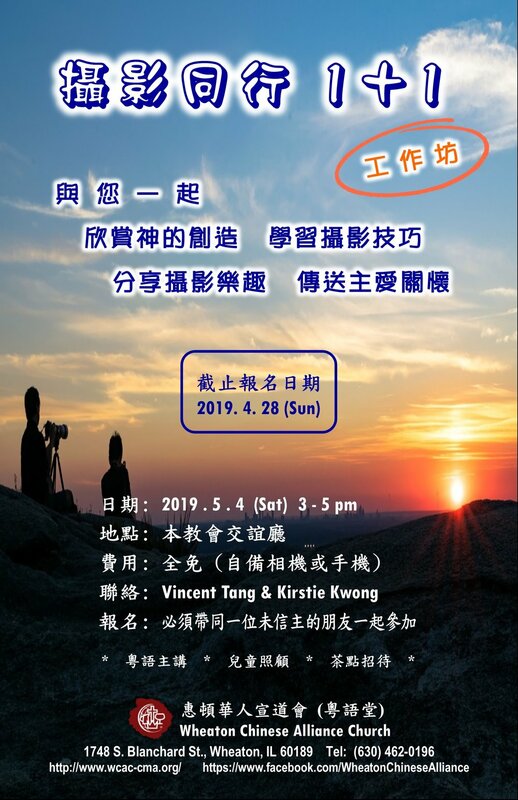 *5/4 (Sat, 3-5 pm, FH) “Photography Workshop 1+1” ─ Vincent Tang will share photography techniques and God’s love through the workshop. To sign up, participants must bring a seeker and join together. It’s all FREE! Sign up deadline is 4/28(Sun), limit 15 pairs only. Contact persons: Vincent Tang & Kirstie Kwong. Please see the flyer & poster for details.